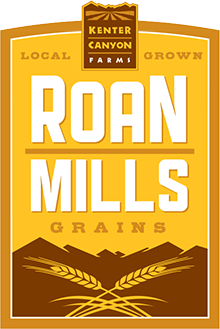 Time honored, old world methods set the tempo at Roan Mills bakery where the sour dough starter is at the heart of the process. 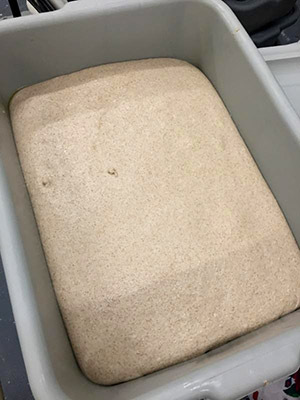 Our sour dough starter is fed every 12 hours to encourage a thriving and vibrant community of microorganisms that raise our dough and tame our whole grain flour into the flavorful, dark, crusty loaves that are the bread that was described as the staff of life in ancient times. 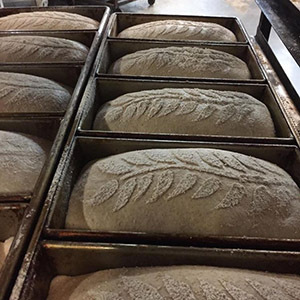 A bake begins each day in our mill room where our 20 inch Meadows Mill processes our heritage wheat berries and grains into fresh flour. 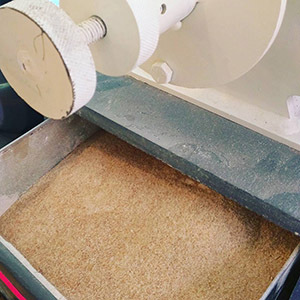 This fresh flour has all the nutrients of the whole wheat berries and is combined with filtered water, sea salt and our sour dough starter to create the bread dough. Our breads are named for the wheat varieties that are used to create them. By controlling the variables of flour, water, salt, time and temperature various results are achieved. 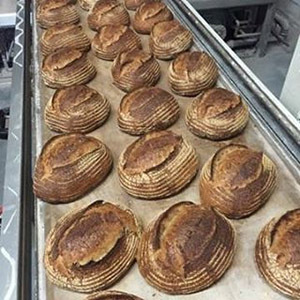 Subtle changes in the amount of water used, the way the bread is shaped, the length of time these doughs are fermented and at what temperature they are baked will produce breads with deep flavors, great textures and long keeping qualities. After shaping the dough into loaves the breads are held in cool temperatures to ferment and develop the characteristic flavors and long keeping qualities. 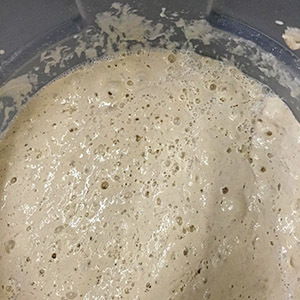 When the bread dough has matured it is baked in a very hot oven with a little steam injected into it to help create a crisp crust.